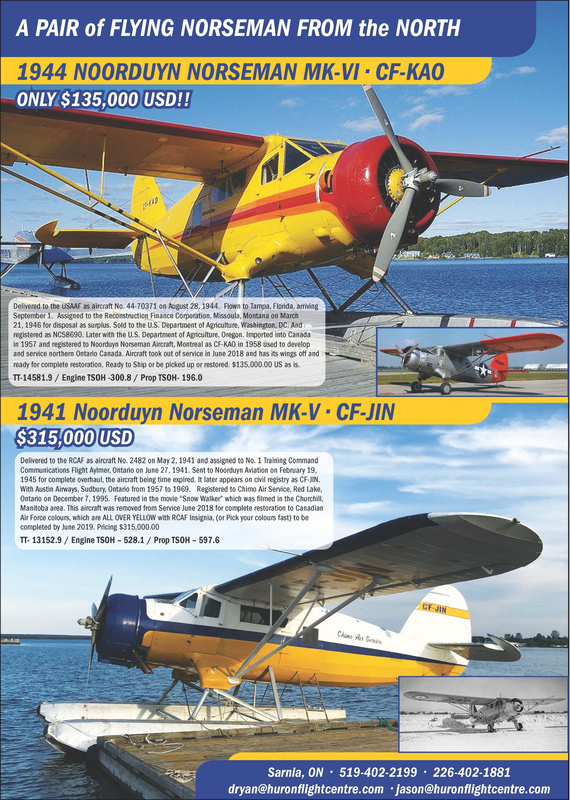 Historical Canadian Air Force Warbird for Only $315,000 USD! Delivered to the RCAF as aircraft No. 2482 on May 2, 1941 and assigned to No. 1 Training Command Communications Flight Aylmer, Ontario on June 27, 1941. Sent to Noorduyn Aviation on February 19, 1945 for complete overhaul, the aircraft being time expired. It later appears on civil registry as CF-JIN. With Austin Airways, Sudbury, Ontario from 1957 to 1969. Registered to Chimo Air Service, Red Lake, Ontario on December 7, 1995. Featured in the movie “Snow Walker” which was filmed in the Churchill, Manitoba area. This aircraft was removed from Service June 2018 for complete restoration to Canadian Airforce colours which are All Over Yellow with RCAF Insignia (or pick your colours fast) to be completed by June 2019.